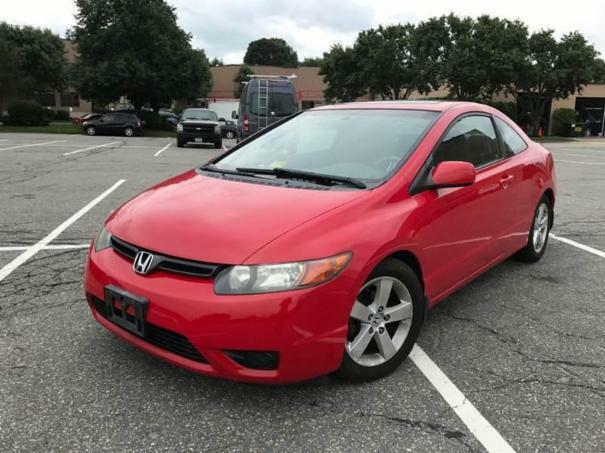 2007 Honda Civic EX coupe red exterior is in great shape as you can see from the pics no rust. Two minor dings on the entire car very well maintained garage kept interior also very clean! equipped with navigation one key fob and manuals come with the car tires have 3/4 life left brakes are good suspension is good no check engine lights sunroof this car is ready to go!